Paul Efthemios Tsongas (/ˈsɒŋɡəs/; February 14, 1941 – January 18, 1997) was an American politician. He represented Massachusetts in both houses of the United States Congress, holding office from 1975 to 1985. He won seven states as a candidate in the 1992 Democratic presidential primaries, losing the nomination to Bill Clinton. Born in Lowell, Massachusetts, Tsongas graduated from Dartmouth College, Yale Law School and the Kennedy School of Government. After working for the Peace Corps and as an aide to Congressman F. Bradford Morse, Tsongas successively won election as a city councilor and county commissioner. In 1974, he won election to the United States House of Representatives, representing Massachusetts's 5th congressional district. In Massachusetts's 1978 Senate election, he defeated incumbent Republican Senator Edward Brooke. In Congress, Tsongas established a reputation as a social liberal and fiscal conservative. Tsongas was diagnosed with non-Hodgkin lymphoma in 1983 and declined to seek re-election in 1984. He returned to politics after undergoing a successful bone marrow transplant. He experienced early success in the 1992 Democratic presidential primaries, winning the New Hampshire primary, but withdrew from the race in March 1992 and endorsed Clinton. An opponent of deficit spending, Tsongas co-founded the Concord Coalition. He died in 1997 of complications from pneumonia and non-Hodgkin lymphoma. Tsongas was born in Lowell, Massachusetts, along with a twin sister, Thaleia, to a once working-class family who came to own a very successful dry cleaning business in Lowell. His father, Efthemios George Tsongas, was a Greek immigrant, and his mother, Katina (née Pappas; originally Panagiotopoulos), was of Greek descent. Tsongas attended Dartmouth College, graduating in 1962 with an A.B. in economics, then Yale Law School and the Kennedy School of Government at Harvard University before settling in Lowell, Massachusetts. While at Dartmouth, Tsongas was a member of the men's swimming team. He picked up the sport again, 27 years later, in 1986, after doctors suggested swimming as a way to rebuild his lung capacity while he was recovering from lymphoma. At a YMCA Masters meet, Tsongas once remarked, "I always used to say breaststroke was an athletic event and the butterfly was the political statement." He served as a Peace Corps volunteer in Ethiopia from 1962–1964, and as Peace Corps Country Director in the West Indies from 1967–1968. In 1967 Tsongas, working as an aide to Congressman F. Bradford Morse, met Niki Sauvage, who was spending the summer in Arlington, Virginia. They were married in 1969, and had three daughters: Ashley, Katina, and Molly. Niki Tsongas was a U.S. Representative from Massachusetts from 2007-2019. When Tsongas ran for office, out of concern that people would mispronounce his last name, there were bumper stickers saying "Tsenator Tsongas". Tsongas first entered politics as a city councillor, elected to the Lowell City Council in 1969 where he served two consecutive terms. Tsongas went on to serve as a county commissioner of Middlesex County, Massachusetts. In 1974 he ran for United States House of Representatives from a district anchored by Lowell. The district had elected only three Democrats in its entire existence and had been in Republican hands continuously since 1895. However, in the massive Democratic wave of the post-Watergate election of 1974, he defeated freshman Republican Paul W. Cronin by a 21-point margin. He was reelected in 1976, becoming the first Democrat to hold the district for more than one term. Increasingly popular and well-liked in Massachusetts, in 1978 he ran for and was elected to the United States Senate, defeating incumbent Republican Edward Brooke by a 10-point margin. In October 1979, after the Senate Energy and Natural Resources Committee voted in favor of Alaska public lands legislation, President Jimmy Carter issued a statement thanking Tsongas for his leadership in strengthening the bill. In May 1982, Tsongas was one of eight senators to vote against a 177.9 billion military authorization bill for 1983. In July 1982, Tsongas met with Prime Minister of Israel Menachem Begin, questioning Begin over where negotiations would fit in the event that Chairman of the Palestine Liberation Organization Yasser Arafat concede the right of Israel to exist along with reneging the covenant of the PLO over calls for Israel's abolition and replacement by a secular state. Tsongas afterward stated the meetings were distressing. During a May 27, 1983 hearing on the legal effects of the Equal Rights Amendment, the first in over a decade on the amendment, Tsongas was questioned by Utah Senator Orrin Hatch over the measure, being described by the New York Times as "visibly shaken by the treatment Senator Hatch gave him." Tsongas delivered an opening statement and replied "That issue will be decided in the courts" in response to most questions by Hatch. Tsongas was generally viewed as a social liberal and an economic moderate. He was especially known for his efforts in Congress in support of historic preservation and environmental conservation on one hand, and for his pro-business economic policies on the other. He played a major role while in the House in the creation of Lowell National Historical Park, as well as in the establishment or expansion of a number of other National Park System areas. He played an equally key role later in the Senate, working closely with then Interior Secretary Cecil Andrus, in successful passage of the massive Alaska National Interest Lands Conservation Act of 1980, which had been hopelessly deadlocked in the Senate since its original passed by the House in 1978. Relative to business and economic matters, Tsongas focused in particular on the Federal budget deficit, a cause he continued to champion even after his presidential primary campaign ended, by co-founding the Concord Coalition. Tsongas was criticized on occasion by opponents as a Reaganomics-style politician, and as being closer to Republicans with regard to such issues. The Boston Herald editorialized that his political philosophy had "far more in common" with 1990s-era Republican Mitt Romney (who crossed over to vote for Tsongas in the 1992 primaries) than with traditional Massachusetts Democrats like Ted Kennedy. In the mid-1980s, he shocked many of the members of the Americans for Democratic Action by telling them that they should focus more on economic growth than wealth redistribution. He once quipped, "If anyone thinks the words 'government' and 'efficiency' belong in the same sentence, we have counselling available." Described as a "long shot campaign" by the New York Times, Paul Tsongas was the first Democrat to launch a bid for the '92 Presidency, on April 30, 1991 in his hometown of Lowell, Massachusetts. Tsongas campaign was banking heavily on early success in New Hampshire. Like many of the candidates, Tsongas ignored the 1992 contest in Iowa, which was expected to go overwhelmingly to Iowa's Senator Tom Harkin. Tsongas hoped that his New England independence and fiscal conservatism from neighboring Massachusetts would appeal to Granite Staters. He achieved recognition for the bluntness and clarity of his plan, distributing a short book titled A Call to Economic Arms, which focused on such issues as the growing federal deficit. When asked why he did not have a tax cut plan like the other candidates, Tsongas famously answered, "I'm not trying to play Santa Claus." New Hampshire delegates for Tsongas on the DNC convention floor..
During the early weeks of 1992, things seemed to be going Tsongas' way when one of the potential major candidates, Bill Clinton, stumbled over issues involving marital infidelity and avoidance of the military draft during Vietnam. While Clinton was hurt by these issues, the damage seemed to bottom out several weeks before the New Hampshire primary. While Tsongas won the most votes and was declared the winner of the New Hampshire primary, the narrow victory (33.20% to 24.78%) gave each candidate 9 delegates. Clinton's adviser James Carville tagged Clinton with the label "the Comeback Kid" and claimed that Clinton's campaign was back on track. While ostensibly the front-runner, Tsongas was already considered by many to be the underdog to Clinton given the support the Arkansas Governor had heading into Super Tuesday. Following the New Hampshire primary, Tsongas was unable to match Clinton's fundraising. Clinton later went on to win most of the Super Tuesday primaries. Tsongas did go on to win delegate contests in Delaware, Maryland, Arizona, Washington, Utah, and Massachusetts, but his campaign never recovered from Clinton's comeback; Clinton won the primaries of most of the more populous and delegate-rich states. Eventually, Tsongas pulled out of the race on 19 March 1992, and endorsed Clinton. However, a number of the Tsongas delegates continued to support the former Senator, and voted for Tsongas on the first ballot at the Convention. The roll call yielded 289 votes for Tsongas, placing him in 3rd place behind Clinton and then-former California Governor, Jerry Brown. In late 1994, Tsongas briefly led an effort to establish a third party, to be led by someone with "national authority", suggesting General Colin Powell for that role. By that time, Tsongas was considered "the most popular political figure in Massachusetts." He died on January 18, 1997, at age 55 of complications from pneumonia and non-Hodgkin's lymphoma. On January 27, 1998, the Tsongas Arena in Lowell was dedicated in his honor. In a special election held on October 16, 2007, his widow, Niki, won the Massachusetts Congressional seat that Tsongas once held. Preservation Massachusetts, a statewide nonprofit focused on preserving Massachusetts history, has an annual Paul Tsongas Award to honor restoration workers in the state. "Mr. Tsongas, who was hospitalized on Jan. 3 with a liver problem related to his treatments for non-Hodgkin's lymphoma, a slow-growing cancer of the lymph system, and later developed pneumonia, died at Brigham and Women's Hospital. Mr. Tsongas made his survival from cancer an issue in his Presidential campaign when he and two of his doctors, Dr. Tak Takvorian and Dr. George P. Canellos, said he had been cancer-free since a bone-marrow transplant in 1986. In May 1996, he underwent another transplant, getting bone marrow from his twin sister, Thaleia Schlesinger, to correct myelodysplasia, a bone-marrow disorder that can occur in people who have recovered from lymph cancer." ^ The Journal of Psychohistory - Google Books. Books.google.ca. Retrieved on 2013-08-23. ^ Writer, SHARON ROBB, Staff. "TSONGAS AN ALSO-RAN IN SWIMMING POOL, TOO". Sun-Sentinel.com. Retrieved 2019-02-28. ^ New York Times, Ex-Senator Gets Transplant, September 5, 1986. Retrieved October 20, 2007. ^ "Tsongas's Cancer Battle". The New York Times. 2014-01-22. ISSN 0362-4331. Retrieved 2016-01-17. ^ "SENATE APPROVES MILITARY BILL INCLUDING CHEMICAL WEAPONS". New York Times. May 15, 1982. ^ Kamm, Henry (July 28, 1982). "BEGIN AND HABIB MEET BUT GIVE NO PROGRESS REPORT". New York Times. ^ "2 SEANTORS IN HOT DISCUSSION ON EQUAL RIGHTS AMENDMENT". New York Times. May 27, 1983. ^ Toner, Robin (May 1, 1991). "Tsongas Is First Entrant in 92 Presidential Race". New York Times. Retrieved November 8, 2017. ^ Toner, Robin (20 March 1992). "THE 1992 CAMPAIGN: Primaries; TSONGAS ABANDONS CAMPAIGN". The New York Times. Retrieved 7 April 2017. ^ Butterfield, Fox (23 February 1993). "AIDE TO TSONGAS INDICTED IN FRAUD". The New York Times. Retrieved 7 April 2017. ^ Tsongas Pushing "President Powell". TIME (1994-12-13). Retrieved on 2013-08-23. ^ "Preservation Awards Dinner". Preservation Massachusetts. Archived from the original on 31 July 2012. Retrieved 8 October 2014. 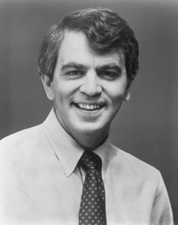 Paul Tsongas. 1984. Heading Home. New York: Knopf. ISBN 0-394-54130-8. United States Congress. "Paul Tsongas (id: T000393)". Biographical Directory of the United States Congress.